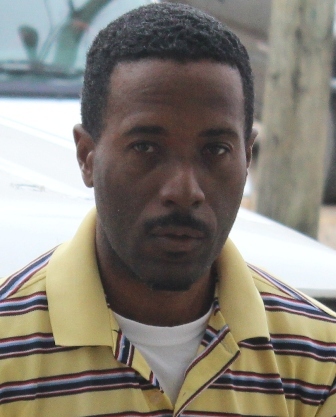 Thirty six year-old Godsman Flores, a food vendor of Church Street in Belize City, appeared in court this morning for Failure to Produce a License to Possess or have in Custody or Control any Ancient Monument. Allegations are that on Tuesday, Flores had in his possession two Mayan artifacts, namely, a small Jade figurine, along with a large jade mask for which he failed to produce a license. Flores appeared before Magistrate Dale Cayetano and first pleaded guilty to the charge, but with an explanation. He told the Magistrate that he was given the artefacts by a gentleman, who obtained them from an American couple. The Magistrate then rejected his guilty plea and granted bail in the sum of three thousand dollars. The discovery of the two Mayan artefacts was made by WPC Priscilla Popper who claims that while on patrol on Freetown Road, she detected a person that fitted the description of a man wanted for questioning into a shooting incident. Along with another officer, Popper escorted Flores to the station where in his knapsack the two artefacts were found. The items were checked and confirmed to be genuine by the Institute of Archaeology. Flores’ next court date is set for March twelfth. Flores was advised to get legal representation. Meanwhile in other news….No charges have been levied against people who completely bulldoze over Mayan monuments.